Treat yourself to a dessert. There is plenty of time for a trip to the sauna. You don’t have to hurry because the Best Hotel Zeller business hotel is just 10 minutes from the Messe Augsburg exhibition centre. And while others get stressed, you can enjoy your valuable free time and the feeling of being able to reach the centre of the action in just a few minutes’ drive! Brand new; innovative; ahead of the curve. Bavaria’s third-largest exhibition centre draws millions of visitors, exhibitors and artists from around the world with numerous expos, events and concerts. It’s not by accident that Augsburg’s exhibition centre is so popular; it seems that quite different standards apply on these gigantic business premises. Here the term “dimension” takes on a whole new meaning. The exhibition centre currently consists of 12 halls with 48,000 m² of exhibition space, 10,000 m² of open space and a 2,200 m² modular convention and seminar centre. In 2008 two old halls were torn down and replaced by the new hall 5, which has a total area of 7,800 m² and new energy saving technology, and hall 6 which also serves as a foyer for hall 5. 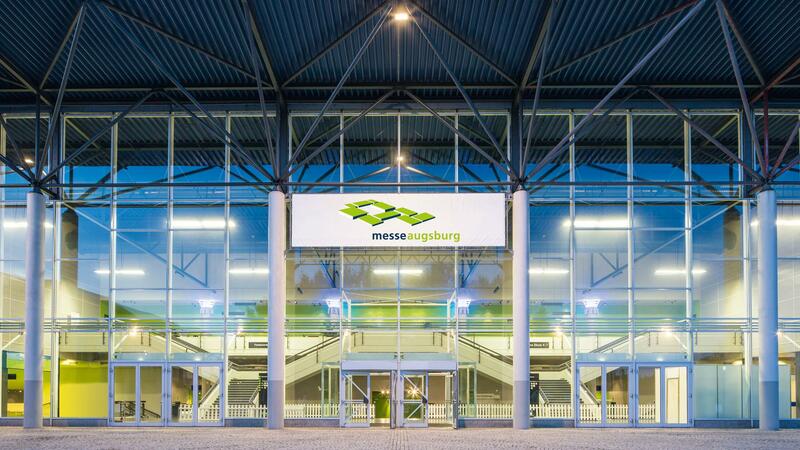 Visit the Messe Augsburg exhibition centre and look forward to an exciting, interesting time in a limitless setting! Conventions, exhibitions, trade fairs, company events or the perfect large-scale event. For curious visitors and organisers alike! At the Augsburg exhibition centre, you will find a brand-new concept, excellent parking and the most convenient bus and train connections. We at the Best Hotel Zeller will be happy to inform you about current trade shows and events, and arrange a conversation with your professional contact person to arrange your major event in the Messe Augsburg. We want to stylishly combine business and leisure time. Thanks to our convenient location in Königsbrunn your work day will begin without stress or time pressure. The exhibition centre, football stadium, university and business parks are all easy to reach. Your business trip to Augsburg will be easy and relaxed when you stay at our 4-star business hotel.